When the Minnesota State Fair opens on Aug. 23, the fairgrounds will be minus one of its few remaining historic dining halls. 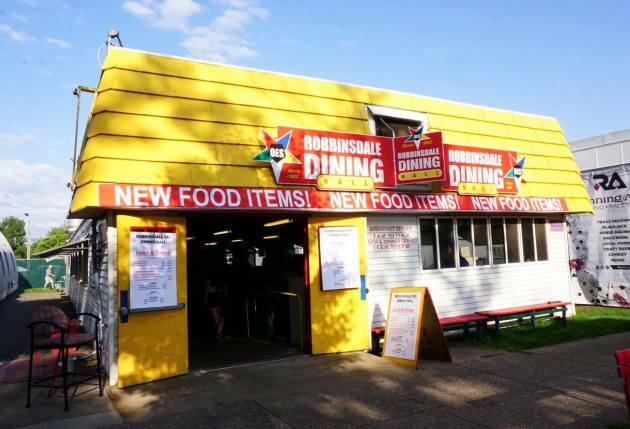 The Robbinsdale chapter of the Order of the Eastern Star, a fraternal organization that has operated their state fair staple for 80 years, has quietly called it quits. Labor challenges and rising costs are the main factors behind the hall's demise. Following in the tradition of other fairgrounds dining halls, Robbinsdale OES has relied upon volunteers, and lots of them, to keep the operation running. In addition, the building (pictured, above, in a provided photo) requires significant capital improvements, an investment that the group was ultimately unwilling to make. Changing tastes also play a role. Wholesome dining halls once dominated the fair’s food-and-drink scene, but the genre has slowly evaporated as flashier, attention-seeking fare has captured fairgoers’ wallets. It's tough to compete with comfort food when fairgoers are Instagram-ing the heck out of the latest deep-fried, on-a-stick delicacy. In the early 1900s, the fairgrounds were dotted with dozens of dining halls, where families and groups congregated around long tables and dug into three affordable squares a day. Sixteen survived the Great Depression. By 1989, there were 10, and a decade later the numbers had dwindled to five. The fairground’s two remaining dining halls are run by local churches: Salem Lutheran Church, which is approaching its 70th birthday, and Hamline Church Dining Hall, which celebrated its 120th anniversary in 2017. Robbinsdale OES had operated on the same site since 1937, starting in a large tent. 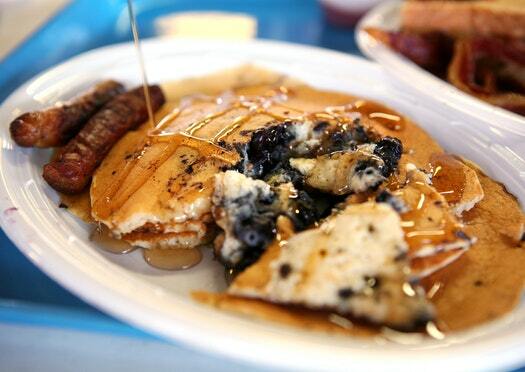 In recent years, the group had become known for its pancakes: buttermilks with blueberries (pictured, above, in a Star Tribune file photo), and a flapjack fashioned from North Star State-appropriate wild rice flour. Variations on French toast were also crowd-pleasers, and pulled pork sandwiches were the top sellers at lunch..
Like many fairgoers, tradition runs deep at the Robbinsdale OES dining hall; some OES members volunteered for more than 50 years. Powles has been pitching in for 15 years. Robbinsdale OES will sell the building back to the fair. Based on past experience, the building, located on Underwood Street between Carnes Avenue and Dan Patch Avenue, probably won’t remain vacant for long. The last two dining halls to close were quickly replaced. After St. Bernard’s dining hall departed in 2009, beer-friendly O’Gara’s at the Fair took over. And when Epiphany Diner closed after the 2011 fair, the building re-emerged the following summer as Minnesota Wine Country.